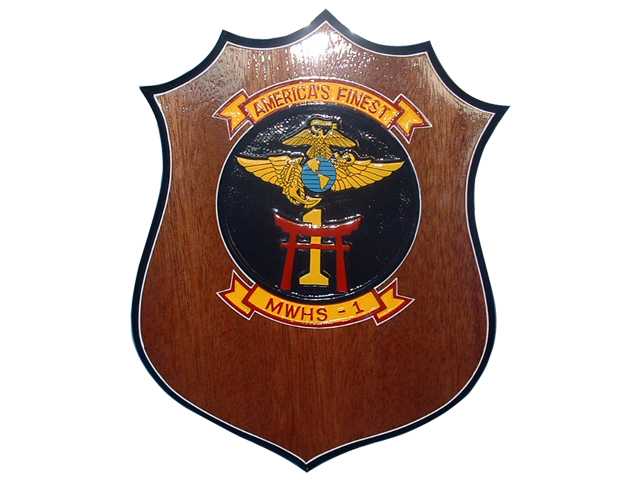 Our Unit Shield Style Plaques are hand carved and hand painted, these are suitable for recognition awards and wall displays . You can customize this with your choice of logo / patch and or carved text. And remember, we offer 100% money back guarantee if you are not totally satisfied that you've bought the best product available on the market! See how our plaques are made. Standard production timeline is 8 to 10 Weeks plus delivery time of 7 - 9 business days via routine shipping. If you need the order sooner, we also offer a 4 week RUSH delivery, or a 6 week RUSH delivery. The 4 week rush is an additional 35%, and the 6 week rush is an additional 20%. Also shipping for both 4 and 6 week Rush would be priority with a delivery time of 2 – 3 business days. © Island Enterprises 2015. All Rights Reserved. Site design and development by AspDotNetStorefront.